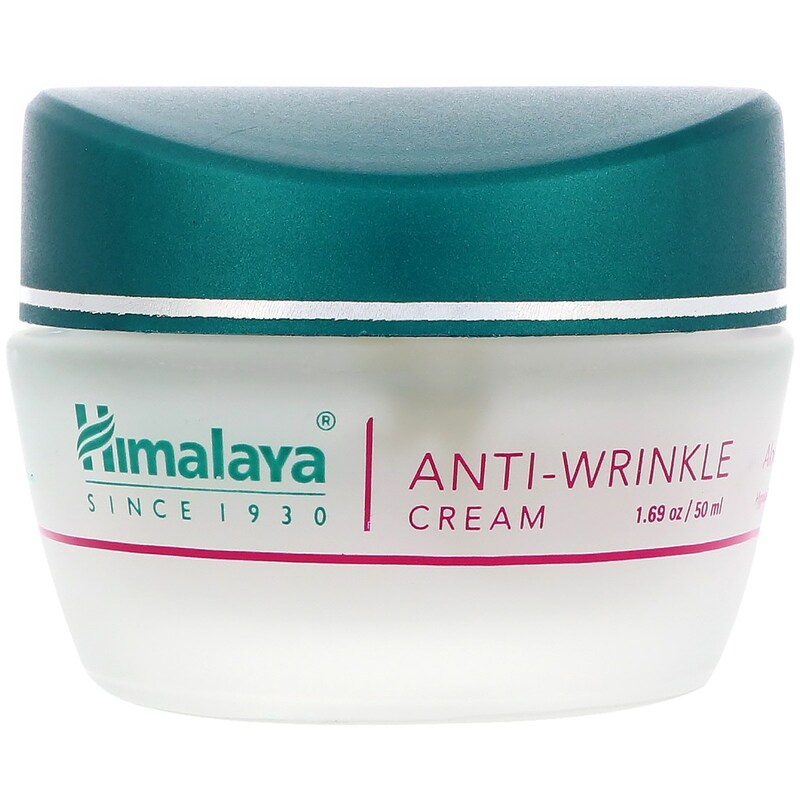 Himalaya's Anti-Wrinkle Cream gives you the perfect solution for visibly younger looking skin. Combined with a rich blend of botanical extracts, this silky and velvety cream visibly diminishes the appearance of wrinkles and fine lines, leaving your skin soft, supple and moisturized. The cream penetrates your skin and provides three essential benefits to help keep those worry lines away. Aloe Vera, rich in saccharides, deeply nourishes and moisturizes your skin, keeping it soft and supple all day long. 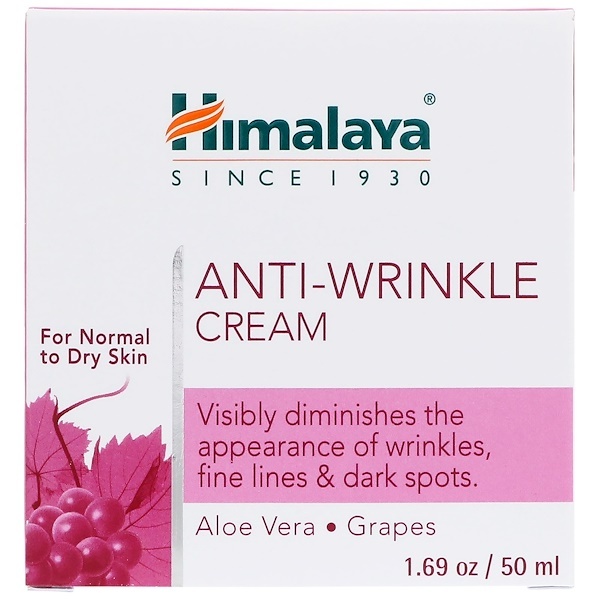 Grapes, rich in AHAs (Alpha Hydroxy Acids), visibly diminishes the appearance of wrinkles and fine lines. Dot face and neck with Himalaya's Anti-Wrinkle Cream. It also acts as a great base for make-up. 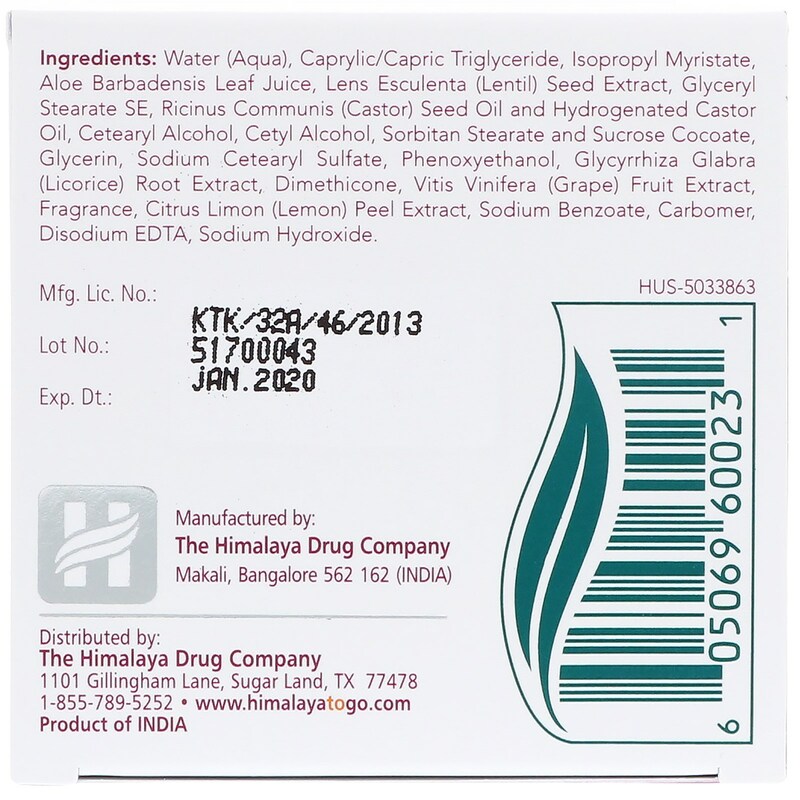 Water (aqua), caprylic/capric, triglyceride, isopropyl myristate, aloe barbadensis leaf juice, lens esculenta (lentil) seed extract, glyceryl stearate SE, ricinus communis (castor) seed oil and hydrogenated castor oil, cetearyl alcohol, cetyl alcohol, sorbitan stearate and sucrose cocoate, glycerin, sodium cetearyl sulfate, phenoxyethanol, glycyrrhiza glabra (licorice) root extract, dimethicone, vitis vinifera (grape) fruit extract, fragrance, citrus limon (lemon) peel extract, sodium benzoate, carbomer, disodium edta, sodium hydroxide. Free from: Alcohol and parabens. Herbal formulations tend to change color over time. However, the product efficacy remains unchanged.